RUSH: We have Tom in Madison… Is that Connecticut? Great to have you on the program. Hello. CALLER: Hey, Rush. How are you doing? A great honor. CALLER: My question is, you know, before Mike Flynn took this guilty plea, you know, he came out publicly and made a statement saying that, you know, he was looking for immunity but he had a story to tell. Is it possible that somehow the special counsel, the FBI, manufactured these charges to put a gag on him to shut him up, so that he couldn’t speak and tell his story? CALLER: I mean, if he has a story, he could have blown this thing wide open a long time ago. RUSH: Well, he could still do that. I mean, there’s nothing precluding him doing that. 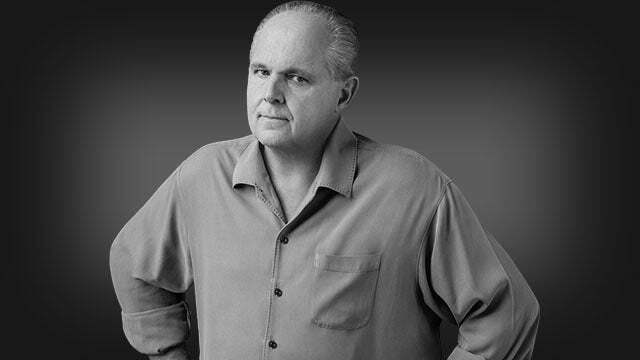 RUSH: I don’t know how to discuss what we don’t know, what we have to speculate on. I think the Flynn thing is easily explained. I don’t think there’s any conspiracy afoot here at all. Obama hated the guy. He was Defense Intelligence Agency head, and he was at loggerheads with Obama over foreign policy. Flynn did not approve of the pussyfoot foreign policy Obama had toward Syria and Russia and North Korea. Flynn’s a tough guy. Flynn’s a muscle guy. Flynn believes in flexing muscles. He is a big patriot. And he was not a fit in the Obama administration. Obama did everything to undermine the guy. He was eventually let go. He was the earliest prominent… He and Jeff Sessions were the two earliest prominent supporters of great credibility of Donald Trump, and this guy was as exuberant and forceful and loyal to Trump as anybody on that campaign ever was. You could not tamp down his enthusiasm. He was at every Trump rally, and he was leading rallies, and he was doing the Pledge of Allegiance, doing all kinds of things. Trump rewards him by naming him national security adviser. During the transition, Flynn has responsibilities, and that is to talk to our allies and enemies around the world (it’s what the transition is for) to prepare for the incoming administration. Well, now, it turned out that many of our enemies are being surveilled legally because we surveil and spy on our enemies. And one of our enemies is Russia. And they have a foreign minister — or had a fat guy — by the name of Kislyak who took everybody to lunch as often as three times a day. And we had a wiretap on this guy. And so anybody he talked to was overheard. Flynn was one of those people. Flynn was unmasked by Susan Rice or somebody in the Obama administration, and then it was leaked that Flynn had discussed lifting the sanctions with the Russian ambassador. Now, the sanctions had been placed on Russia in December by Obama. You know, what a phony baloney move. Here’s Obama who just in October had made fun of and was laughing at anybody who thought the Russians could rig an election. It’s not possible, Obama said. Let me… I don’t need to play the bite but I can read you the transcript from a what he said. “There is no serious person out there that would suggest somehow that you can even rig America’s elections in part because they’re so decentralized and the numbers of votes involved. And there isn’t any evidence that it’s happened.” Well, after Hillary lost, that was out the window, and in its place (complete with the Steele dossier) was the Russians colluded with Trump. 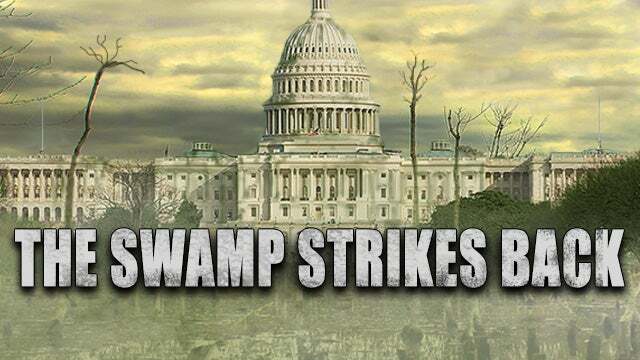 And the swamp began cementing that narrative as many times as day as there were news reports, papers, and networks. Flynn is unmasked. Obama in December had placed sanctions on the Russians for tampering in our elections. That’s Obama being a tough guy! So he puts sanctions, and he expelled something like 36 Russian diplomats, sent them home. And there were economic sanctions as well. Well, the Russians don’t want this. The Russians don’t want their people to have to leave the country, and they don’t want United States economic sanctions. So of course, when Flynn was talking to the Russian ambassador, his conversation was unmasked. 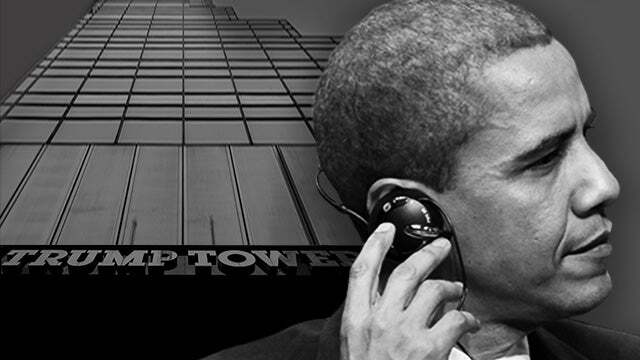 There were tapes, transcripts of the phone call. That’s what the Washington Post saw. And nobody concluded that Flynn had discussed lifting sanctions! That would have been problematic, because they weren’t president yet. They can’t sit there and promise they’re gonna do things. That would be undermining the current sitting president. They can’t do it. They didn’t do it. Flynn didn’t do it. But it was leaked that he did. And that’s where all of this began. Flynn made the mistake of not being forthright with Vice President Pence over some aspect of this, which caused Trump to have to fire him. But it was later learned — like (snorts) last month — that Flynn had not lied, according to the FBI, in that interview. And that’s where we are now, with the judge in the case demanding that the special counsel produce all exculpatory evidence and information on Flynn. His sentencing has been delayed until May. It was supposed to be happening sometime next month. It’s been delayed until May, and it’s possible that this judge could vacate the charges, because Flynn was not told, it appears. He was not told that the FBI didn’t think he lied. If the FBI had told him — and it was Peter Strzok that did the interview. 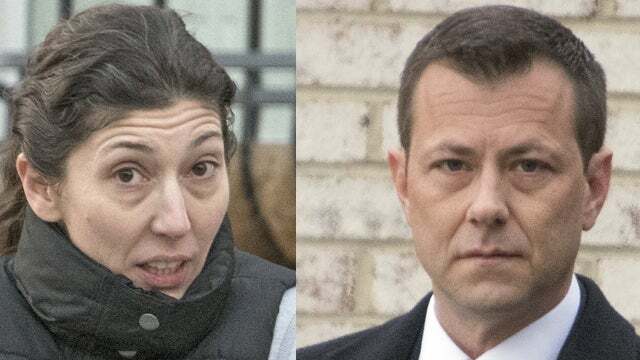 Strzok, Lisa Page. That Strzok. He did the interview with Flynn, and he said (summarized), “I don’t think the guy lied.” Yet Mueller pressures Flynn and pressures Flynn to the point that Flynn, to end the bleeding, agrees to cop a plea to lying. Now, whether Flynn’s got some bombshell information to unload on somebody, I don’t think that’s why Mueller did what he did. The special counsel’s gotta get… Folks, this is about one thing. It’s what I told Chris Wallace on Sunday as I’ve continued to tell you. This is about getting Donald Trump. Donald Trump has been the target — Donald Trump has been the suspect — from before this investigation began. That remains the objective: Getting rid of Donald Trump via impeachment if the Democrats win the House in 2018. And everything Mueller is doing is in preparation for that. The preparation of a dossier, if you will, of evidence or a case for House Democrats to use in impeaching Trump. That’s what’s happening right now. There’s no letup in it; there’s no slacking off in it. All of these chump-change indictments of lawyers in London and Manafort and all this, they’re gonna be all part of a gigantic, voluminous report that Mueller I don’t think is gonna draw any conclusions from. He’s gonna leave it up to the House. He might recommend something, but there aren’t gonna be any official indictments ’cause there’s no crime here! There is no crime! Mueller is not pursuing a crime. The deputy AG in charge of special counsels did not identify a crime, which is normally why you have a special counsel. There’s no crime here that anybody’s been able to find! All there is is a bunch of absolutely ridiculous, defamatory allegations. So now, they’re looking at obstruction. The latest news today is that Mueller wants to talk to Jared Kushner about some of his financial dealings during the transition. It’s all part of a collaborative effort to get rid of Donald Trump. There hasn’t been the slightest change in that objective no matter what you’ve heard reported in the news, no matter how badly you think the Mueller investigation is going, no matter how much you think, “Gosh, the guy hasn’t found anything.” Remember, pursuing high crimes and misdemeanors and evidence of incompetence, that’s a far different thing than trying to find evidence of a crime for which there would be an indictment and charges and a jury and a conviction. And that is not what is happening. There is no crime. That’s what makes this outrageous, folks. That’s what makes this obscene. There is no crime. The establishment is simply offended that Trump won. They are offended that they haven’t been able to stop him. They’re offended and bothered they weren’t able to stop him. They’re offended each day that he’s still there. They’re offended that he tweets. They’re offended that he’s enjoying himself. They’re offended that he gets away with everything they’ve thrown at him. They’re offended his tax cuts are working. They’re offended that he dared attack Obamacare. They are offended that he continues to attack Crooked Hillary, Crazy Bernie. They’re offended, they’re offended, they can’t stand it, and the objective is to get rid of this guy no matter what else. And they’re not going to stop. It really hinges on the 2018 midterms. And I guarantee you if the Democrats win, the first thing they’re gonna do is present articles of impeachment. The next thing they’ll do is repeal the tax cut. The next thing they’ll do is shore up Obamacare, put the government more in charge of it and fix it. The next thing they’ll do is force Clarence Thomas or some conservative on the court to resign and replace him with some fleabag, uber-leftist, at which point they own it. That’s what 2018 is. That’s how much hinges on 2018. And Mueller has his role to play in it. Weissmann has his role to play in it. Hillary has her role. The Drive-Bys have their role. And everybody’s responsibility is to get Trump. There will not be any exoneration of Donald Trump. That’s why when Mueller came out Friday announcing this — I still find this odd — that Rosenstein did it on a Friday in the midst offing the gun shooting story. And they make a point that there was no witting participation by the Trump people and there was no evidence the Russians had a thing to do with the outcome of the election. Did the investigation end after that? No, it didn’t. Why, there were a couple of indictments that followed this, this lawyer from Skadden Arps in London. And I think an indictment where there will never be a trial is merely the presentation of a public relations case. And I think the objective was to get Trump running to the nearest camera and proclaiming his vindication. And then six months from now here comes another indictment that names Trump. And Trump’s on record as having endorsed this investigation as the best investigation ever. This is why I said on TV Sunday he should be very careful, ’cause every day is a trap for Trump. Every day is a trap. Every day somebody somewhere in the swamp, in the establishment is laying a trap. This school shooting story and the aftermath and what’s being done promoting the students and their gun-free zone and their protest, it’s a trap. Every day Trump is faced with countless traps. And they think they’re gonna get him one of these days with all these tweets. When they say they wish he would stop, they hope he continues, because they think he’s gonna one day tweet something that’s gonna blow it all to smithereens. That won’t happen because Trump can’t destroy himself that way. If Trump wants to end it, then Trump should announce amnesty for illegals and then resign. ‘Cause that would effectively be the same thing. That’s the only thing. Well, that’s not the only. But if they want Trump to destroy himself that’s what they’re gonna have to get him to agree to do. That’s why he was elected, to not get anywhere near doing that.